I was wondering when I see the title of your post that you would speak about MSMQ versus Service Bus. Did you go forward to test Service Bus and compare it to MSMQ ? Do you think Service Bus will replace MSMQ in the future ? I was planning to put together a flow chart which will decide wheather to use MSMQ or Service Bus. To answer your question, yes I moved my software to use Service Bus instead of MSMQ for various reasons. However you should make that decision based on your needs. MSMQ is extremely light weight and I liked it. MSMQ also provides bigger size/message that may be critical in some applications. Service Bus has dependency on SQL server (it works with express edition as well). size/message is smaller. 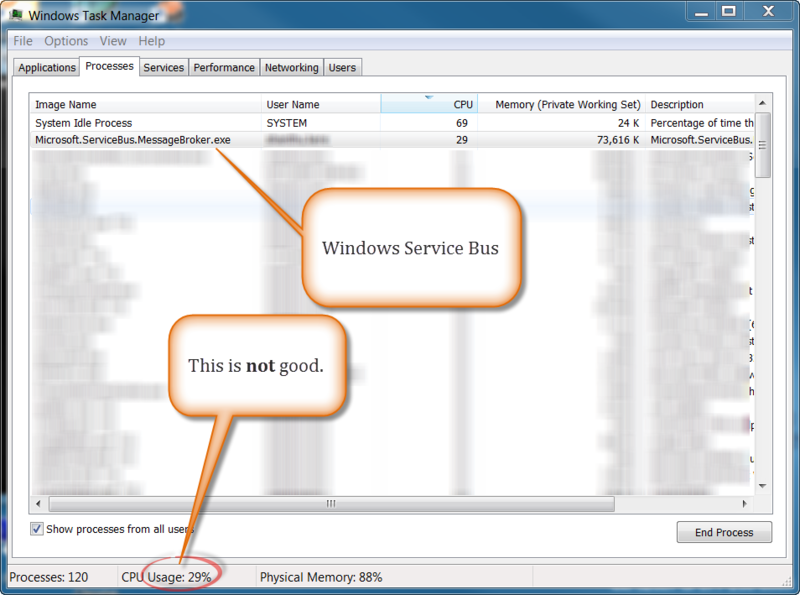 I weighed all the pros and cons and decided to use Service bus for my need. I am extremely happy with it so far. Do you go forward to test Service Bus and compare it to MSMQ ? Do you think Service Bus will replace MSMQ in the future ? Yes, I have already changed from MSMQ to Service in my software. >>Do you think Service Bus will replace MSMQ in the future ? If I have to speculate, I would say YES. MSMQ did not evolve (except increase in size/message) for many years. It was frozen in time! Where as Service bus offers everything you need to implement a classic pub-sub pattern. This is supported in the cloud (azure) also, where as MSMQ is not.